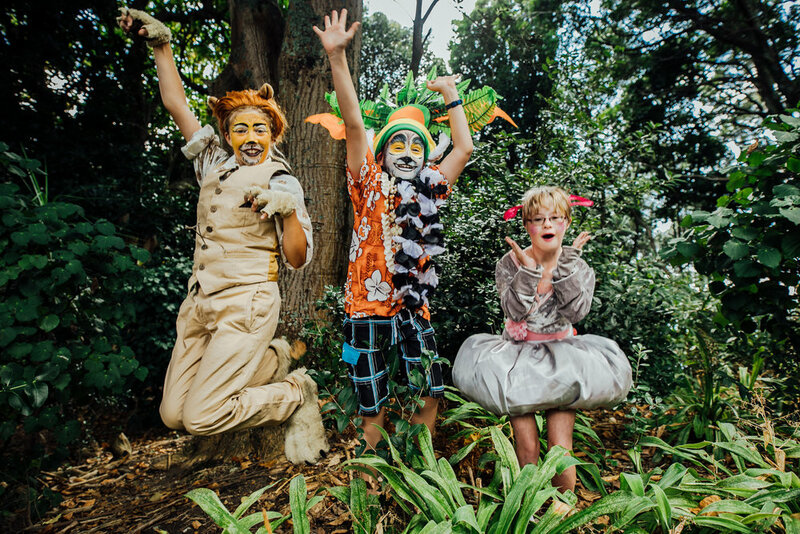 Forty-one children with and without disabilities will share the limelight in Auckland this May in New Zealand’s first ever fully-inclusive children’s musical, Madagascar - A Musical Adventure Jr.
Based on the rip-roaring DreamWorks animated motion picture, and featuring the movie’s original music and lyrics, this fully inclusive production is being presented by New Zealand’s leading professional, integrated performance company, Touch Compass, at The Rose Centre, Belmont. 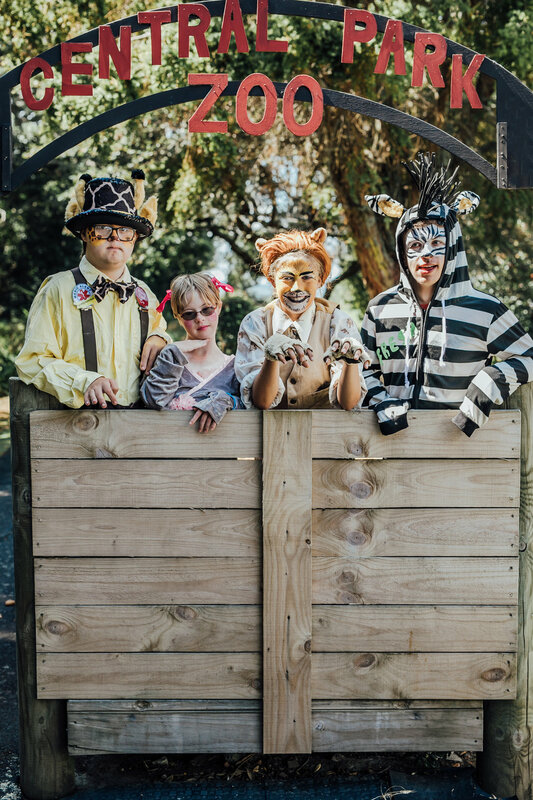 The cast includes children aged 6 to 18, almost half of whom have some kind of disability or learning difference - including Autism, Cerebral Palsy, Down Syndrome and Spina Bifida. Performers who require full-time support will be accompanied by support actors on stage – in costume. Madagascar tells the story of Alex the Lion, Marty the Zebra, Melman the Giraffe, Gloria the hip hip Hippo and, of course, the hilarious, plotting penguins as they escape from their home in New York's Central Park Zoo and find themselves on an unexpected journey to the madcap world of King Julien's Madagascar. Alex the lion is the king of the urban jungle, the main attraction at New York's Central Park Zoo. He and his best friends have spent their whole lives in blissful captivity before an admiring public and with regular meals provided for them. Not content to leave well enough alone, Marty lets his curiosity get the better of him and makes his escape to explore the world. Filled with outlandish characters, adventure galore and an upbeat score, Madagascar - A Musical Adventure Jr and its delightful cast will leave audiences with no choice but to "Move It, Move It”. The show is being directed by Touch Compass’ General Manager, Charlotte Nightingale. She says audiences should be prepared for the children to steal the show…and their hearts. “All the children are working together so beautifully; it’s been incredibly moving to see and an honour to direct. They show they’ve created is profoundly funny and their talent is immense,” Nightingale says. There will also be a special relaxed show for young theatre-goers with autism and sensory sensitivities. Touch Compass is New Zealand’s leading professional inclusive performance company and has been creating experiences for audiences, and for disabled and non-disabled performers since 1997. They work creatively with world-class choreographers and directors to draw out narratives that challenge perceptions about what performance is and who can do it. Their live performances, film, digital, site specific work and collaborations act against barriers to reach diverse audiences. By continuously moving beyond difference, Touch Compass encourages society to do the same. Note: Everyone is welcome at all shows, however some accessibility features are noted below for specific shows. Saturday 18 May | 6:00pm - Theatre sign language interpreted. Audio described.